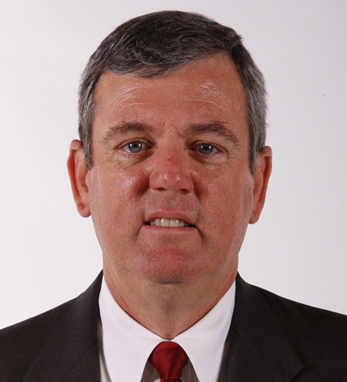 A 23-year veteran of the sports industry, Bill Duffy was named Executive Vice President, Chief Financial and Administrative Officer for Bobcats Sports & Entertainment in August 2010, after an 18 month consulting assignment with the Bobcats in his position as Principal with The Aspire Group. In this role Duffy oversees the finance, human resources, legal, information technology and arena administration departments for the Charlotte Bobcats and Time Warner Cable Arena. A graduate of Princeton University and New York University, where he earned his Master’s in Accounting, Duffy’s previous work history includes executive positions with the San Francisco 49ers, Miami Dolphins, Atlanta Hawks and Thrashers, and the National Football League office in New York, where he helped create the league’s first salary cap. A dual US-Irish citizen, Duffy’s green roots run deep including service on the Executive Committee of ICCUSA, Atlanta Chapter, the Executive Committee of the Atlanta St. Patrick’s Day Parade, and accompanying Georgia Governor Perdue on a trade mission to Ireland in 2007. A strong advocate for improving the lives of children, Duffy spent six years on the Board of Big Brothers Big Sisters of Metro Atlanta, three years on the Board of the Atlanta Hawks and Thrashers Foundation, three years on the Board of the San Francisco 49ers Foundation, and three years on the Board of Directors for Children’s Harbour in South Florida. A Certified Public Accountant, Duffy has been married to his wife, Cathy, for 30 years, and raised two daughters, Erin and Caitlin.